You’ve undoubtedly heard of the Ice Bucket Challenge, and if you’re a parent you might also have read about the Cheerios Challenge. Be it for a good cause such as raising money for ALS research, or a silly trick started by a bored dad, such posts call us to be playful and join in on something fun. Inspired by these challenges, the hosts of the Plantrama podcast decided that if there was ever a place where the fun happens, it’s in our own backyards. 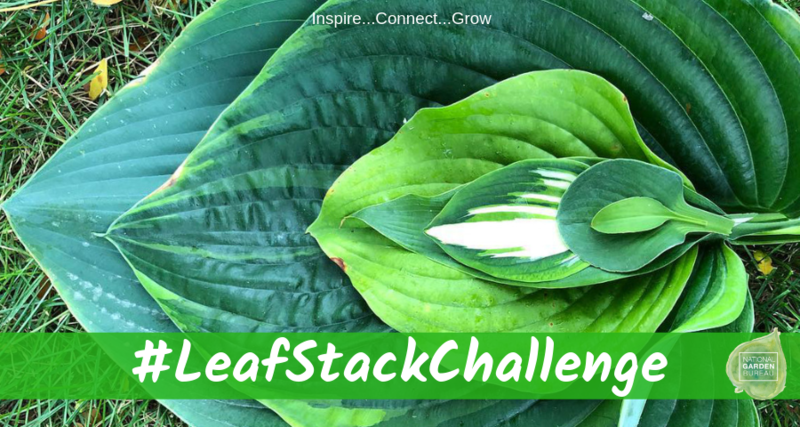 So with amusement in mind, we present the #LeafStackChallenge. Since Ellen Zachos, one of the hosts of Plantrama, is a forager she naturally went for the above stack of leaves that were edible. Her co-host, C.L. 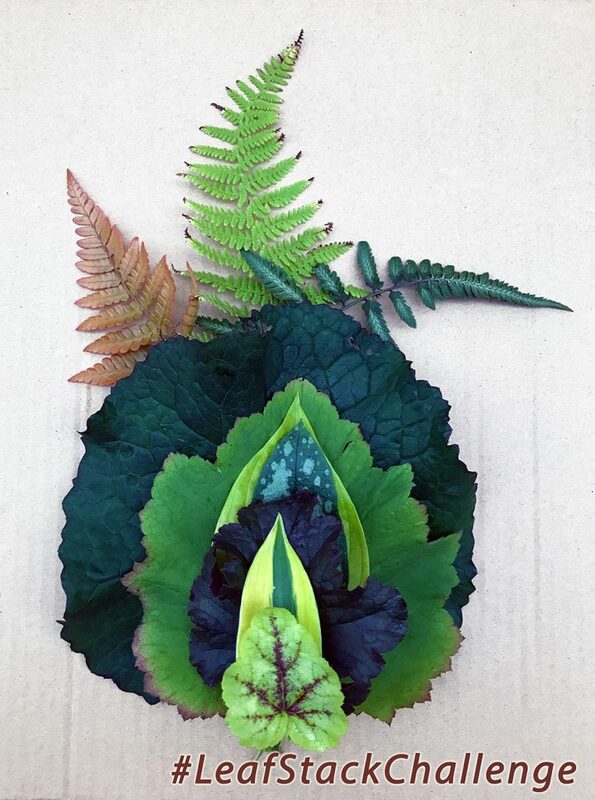 Fornari, collected leaves from some perennials in the photo below from her garden. 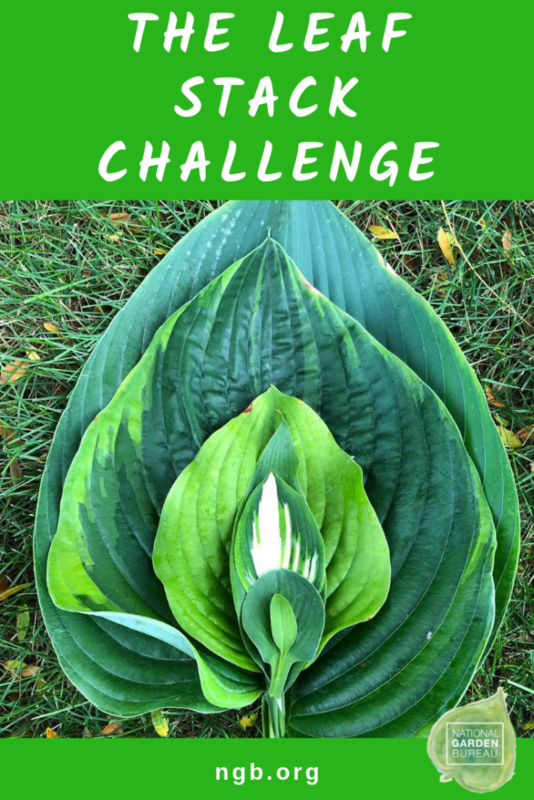 These were posted online with #LeafStackChallenge. It’s that simple. Well, for one thing, creating a leaf stack makes us appreciate the variety of colors and textures that foliage comes in. It’s a fun way to remind ourselves of the amazing diversity of plants. 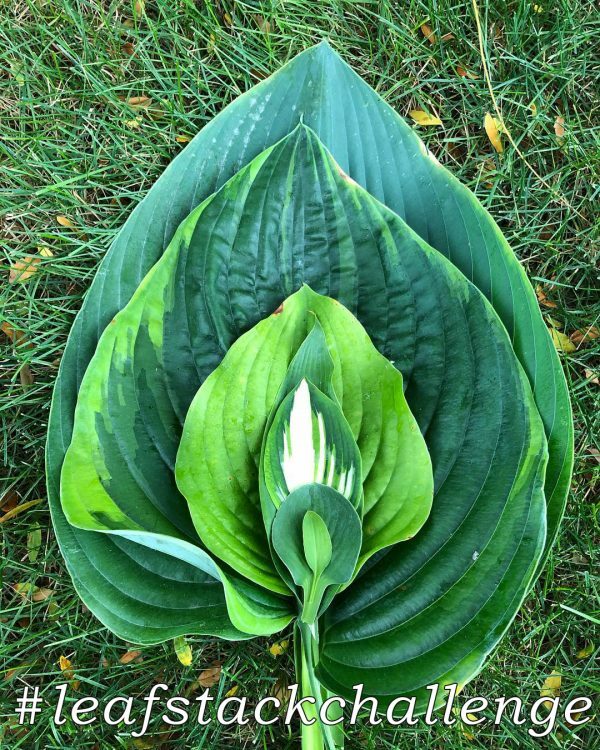 Others have gotten into the spirit in their own fashion, and we’ve seen stacks made from leaves of invasive plants, hosta, and houseplants. 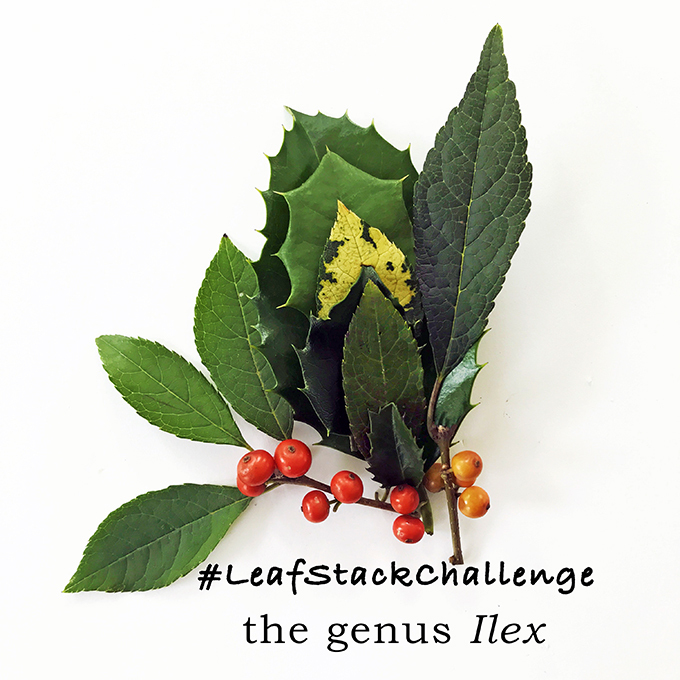 One #LeafStackChallenge was made totally from members of the holly (Ilex) family. 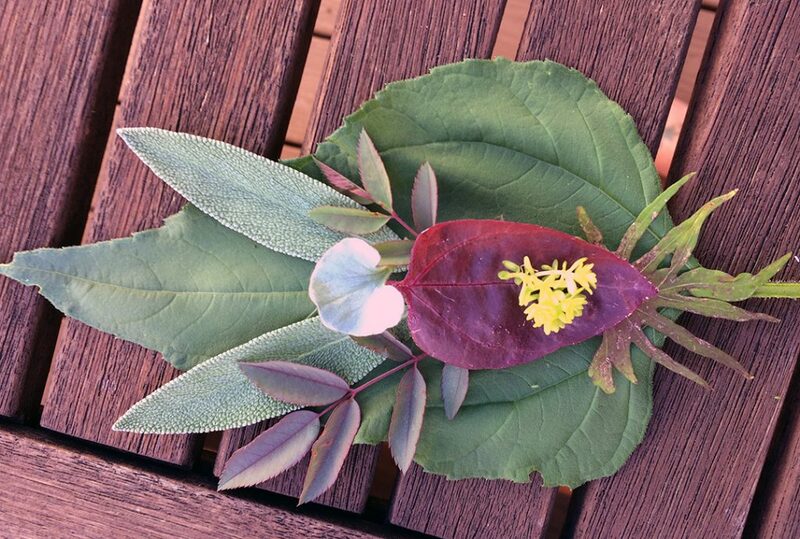 Leaf stacks can be created by children or adults; one group held a competition at a party where everyone was laughing as they tried to out-create each other. So this growing season the Plantrama team challenges you to see the foliage around you with new eyes. 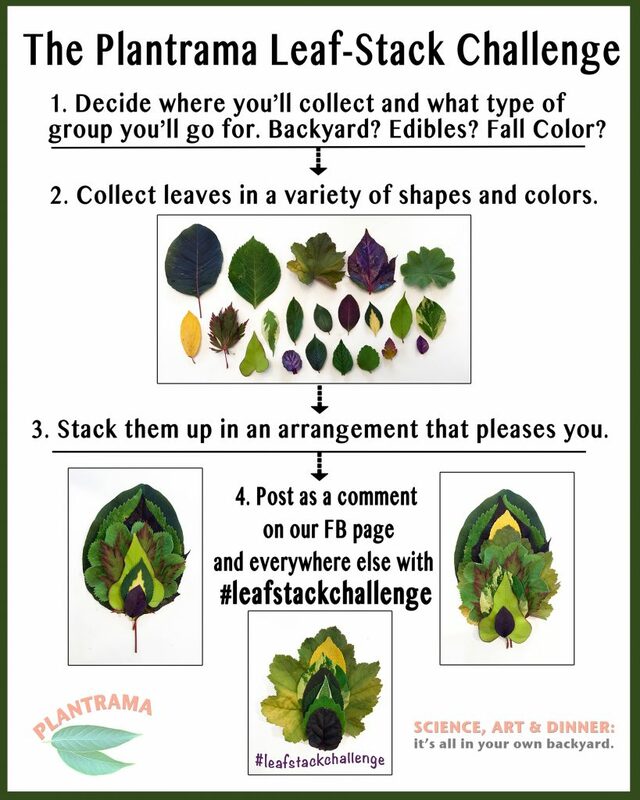 What kind of leaf stack can you create? Ellen Zachos and C.L. Fornari are the co-hosts of Plantrama, the podcast for anyone who has ever grown, eaten or wondered about a plant.